Centralsorb®, as with Blue-Zone’s other patented system, Deltasorb®, prevents the release of these greenhouse gases into the atmosphere and offers a significant value-add to merely collecting and stockpiling, and/or incinerating the waste. These captured anesthetics are subsequently extracted, liquefied and used as raw material in the production of new, validated generic anesthetics at Blue- Zone’s facility. This ability to reprocess the recovered halogenated anesthetics – which is unique to Blue-Zone and not provided by any other company, worldwide – offers additional economic and security of supply benefits for hospitals that use Blue-Zone’s patented technology. 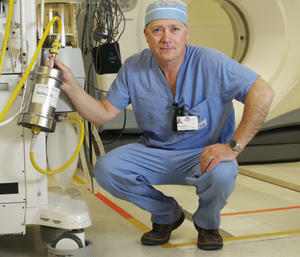 Blue-Zone currently services approximately 25% of Ontario operating rooms, many of them for over a decade. It is estimated that these operating rooms support about 200,000 surgical cases every year. In 2002, Blue-Zone installed Deltasorb®, the world’s first-ever system to collect and capture anesthetic gases in a hospital operating room. Centralsorb® collects these same gases but from a central location, thus requiring no involvement from operating room staff. The efficacy of Centralsorb® in centralized conditions was confirmed through pilot testing at Sunnybrook Health Sciences Centre and the Cleveland Clinic Foundation in 2010. This new and exciting patent allowance, related to the overall Centralsorb® system, fits well with Blue- Zone’s previously-granted US Patent 9,039,808, related to the adsorbent that is used in the Centralsorb® system. The technology in these two patents will allow for the central, efficient and validated recovery of the captured emissions of halogenated anesthetic drugs. Patent applications remain pending on various other aspects of the central collection and anesthetic drug recovery technologies. Blue-Zone is the world’s first pioneer in the area of halogenated anesthetic collection, recovery, and pollution prevention, with aspects of its technology dating back to 1999. 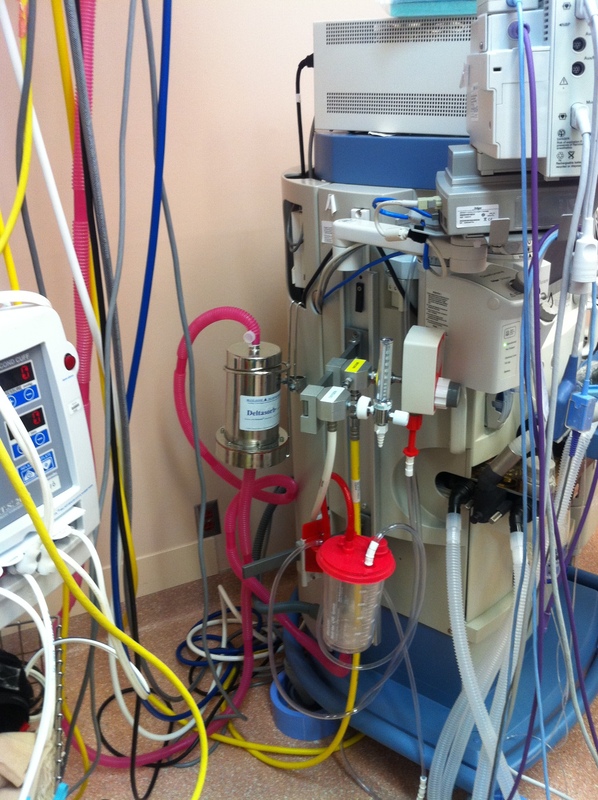 Blue-Zone’s globally innovative technology for the capture and recovery of anesthetics was originally demonstrated with the Deltasorb® Canister System installed in operating rooms, developed in collaboration with the Department of Anesthesia at the University of Toronto. It has since evolved into the Centralsorb® System for collection at a central location in the hospital. Blue-Zone’s technology solutions are currently collecting halogenated anesthetic drug emissions from approximately 25% of the operating rooms in Ontario, with expansion into additional hospitals in the US. With its unique ability to Prevent the Vent® of halogenated anesthetics and recover them for future medical use, Blue-Zone is Canada and the world’s first and only company to offer a truly, sustainable Cradle-to-Cradle® environmental service to deal with this serious situation. Blue-Zone has won the following awards in Canada: Waste Minimization Gold Award 2010 (Recycling Council of Ontario), Innovator of the Year 2010 (PROFIT Magazine), Innovations@Work Award 2010 (Rogers and PROFIT Magazine), Red Herring Top 50 Award 2008, Canadian Innovation Award for Environmental Technologies 2005 (Canadian Manufacturers and Exporters). Dusanka Filipovic, P. Eng. President and Vice Chair Blue-Zone Technologies Ltd.